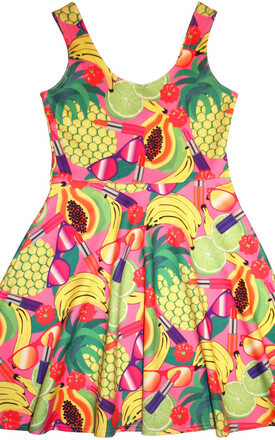 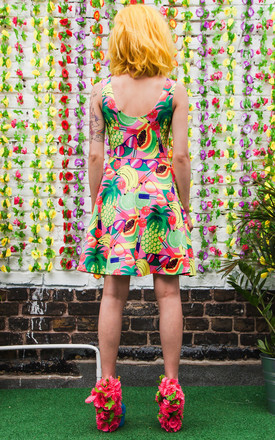 Fun and fruity all over printed skater dress. Adorn yourself in this fruit, lipsticks and sunglasses print for that holiday feeling all year round! 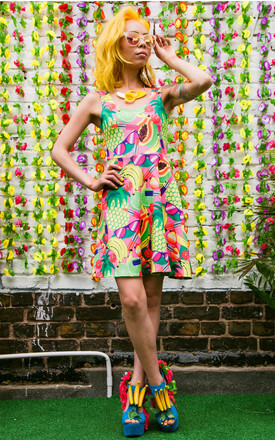 Designed by Dazzle & Jolt and made in the UK.